NEW YORK — Judith Appelbaum, whose almost 60-year career in book publishing became a crusade to make the industry better — for writers, publishers, and readers — died July 25 at her home in Bedford, N.Y. She was 78. Alan Appelbaum, her husband of 57 years, said the cause was ovarian cancer. Mrs. Appelbaum held numerous jobs in the book publishing industry. During the early 1980s she was managing editor of Publishers Weekly and wrote the “Paperback Talk” column for The New York Times Book Review. But her best-remembered and most influential project may have been the 1978 book “How to Get Happily Published: A Complete and Candid Guide,” which she wrote with Nancy Evans. After Mrs. Appelbaum took over as the sole author, the book went on to be published in five editions and to sell more than a half-million copies. It led to the creation of Sensible Solutions, a consulting company for authors and publishers that she founded and ran with a partner, Florence Janovic, in Mount Kisco, N.Y., in Westchester County. “It is largely within your power to determine whether a publisher will buy your work and whether the public will buy it once it’s released,” the first edition of “How to Get Happily Published” announced in Chapter 1. The book offered guidance on topics ranging from writing a proposal to selling subsidiary rights, as well as “fighting the fear of hustling” and, in a chapter that was decades ahead of its time, how to handle self-publishing, from design to distribution. 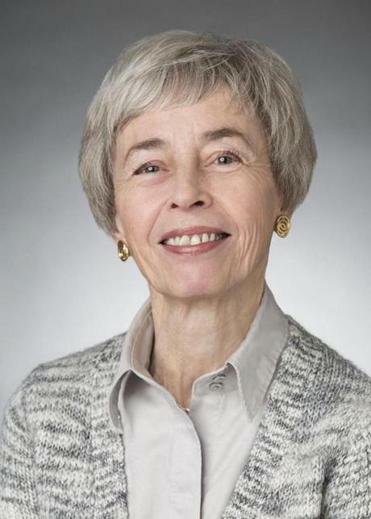 Judith Ethel Pilpel was born in Manhattan on Sept. 26, 1939, the daughter of Robert Pilpel, an executive of humanitarian groups, including the American Jewish Joint Distribution Committee, and Harriet (Fleischl) Pilpel, a lawyer and women’s rights advocate. The industry itself came to be her favorite subject. She and Janovic were coauthors of “The Writer’s Workbook: A Full and Friendly Guide to Boosting Your Book’s Sales” (1980). For two decades, Mrs. Appelbaum edited The Independent, a monthly publication. Almost everything about the business changed during those years. “We Used to Call It Publishing” was the title of a 1999 article she wrote about new paths for intellectual property. But in an interview with Publishing Perspectives in 2014, she predicted continuing growth in book publishing, albeit with much of it under the radar because of an increasing number of small publishers. She did express some good-natured concern about people with no traditional publishing experience entering the field. In addition to her husband, she is survived by a daughter, Lynn Appelbaum; a son, Alexander; a brother, Robert Pilpel; and two grandchildren. Mrs. Appelbaum’s favorite authors, she said in an interview with The Internet Writing Journal in 1998, were too many to count, but they included George Eliot, Anthony Trollope, Anne Tyler, and Julian Barnes.